Today, Deep Rock Galactic was announced as an Xbox One "console launch exclusive" at Microsoft's E3 2017 press conference. Deep Rock Galactic has already been confirmed for Steam Early Access, and is currently set for a "2017" release. The game features space dwarves looting and shooting their way through procedurally generated alien worlds. 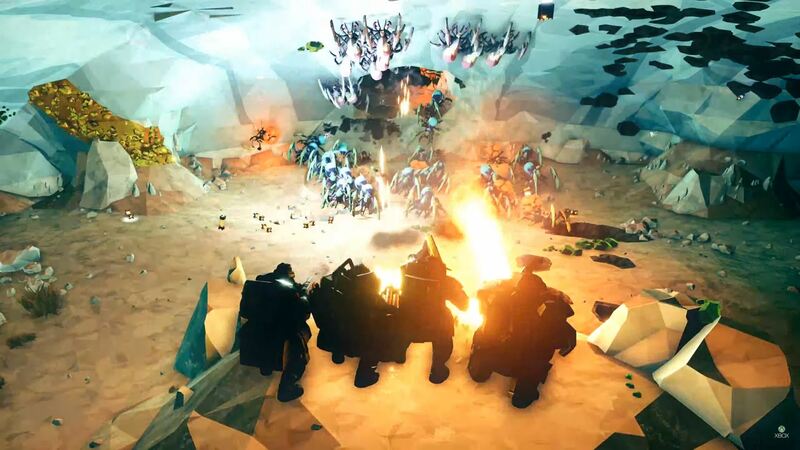 Deep Rock Galactic is a "one to four player" co-op title, and will remain in Early Access for between one and two years, according to the game's Steam page.